Glengoyne is launching a new series of annual single malt releases to celebrate its heritage – the first global release from the distillery in two years. 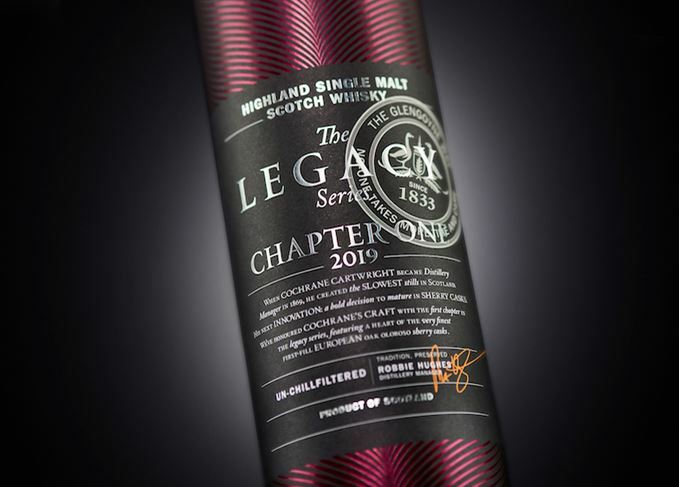 The Glengoyne Legacy Series: Chapter One is the first expression in the Legacy Series from the Highland distillery, and was created to showcase the ‘captivating stories’ of its history and people. Matured in first-fill oloroso Sherry casks and bottled non-chill filtered at 48% abv, Chapter One reflects 19th-century Glengoyne distillery manager Cochrane Cartwright’s decision to use Sherry casks for maturation, and his introduction of the ‘slow’ distillation process. These methods continue to be used today to give the distillery’s whisky its ‘signature’ flavour profile. Glengoyne brand manager Katy Macanna said: ‘Glengoyne distillery is known for its unhurried distillation process and six-year wood journey from tree to cask. The whisky is described as containing a ‘rich, fruity’ flavour profile with notes of ‘warm pear, spicy cinnamon and vanilla’ on the nose and ‘fruity Sherry notes over gentle oak’ on the palate. First tastings of Chapter One will be held at Glengoyne distillery during their ‘Behind the Scenes’ event on 16 February, hosted by Glengoyne international brand ambassador Gordon Dundas and attended by Glengoyne ‘Family’ newsletter subscribers. Chapter One will be available throughout Glengoyne’s global markets, at the distillery’s shop and online at glengoyne.com from 18 February, and is priced at £54.99 per 70cl bottle.